During the past week, one local basketball product will be staying put, another will be moving on and yet another made a bit of history. Bowie native Marcus Derrickson, who played his high school basketball at Paul VI, has announced he’ll leave Georgetown to enter the NBA Draft. At Notre Dame University, Mike Brey (Bethesda/DeMatha), the winningest coach the program’s history, has signed a contract extension through the 2024-25 season. The new deal was in recognition of his body of work, even though injuries derailed what could have been a promising season in 2017-18. The Irish wound up in the NIT, rather than the NCAA Tournament, and finished 21-15. Brey, 59, has taken the Irish to 12 NCAA tournaments in 18 seasons. Brey is 403-201 at Notre Dame, having surpassed Digger Phelps as the school’s all-time leader in victories earlier this season. Brey, who graduated from DeMatha in 1977, has an overall record of 502-252 in 23 seasons as a Division I head coach. He also enjoyed a successful five-year stint at Delaware (99–51, two NCAA Tournament trips), which landed him the job at Notre Dame. Prior to that, he served as an assistant coach to two of the best in the business – Morgan Wootten at DeMatha and Mike Krzyzewski at Duke. HOYAS’ DERRICKSON MOVING ON: Georgetown forward Marcus Derrickson (Bowie/Paul VI) announced that he’ll enter the NBA draft and hire an agent after three seasons with the Hoyas. “I will forego my senior year at Georgetown by entering the draft with plans of signing with an agent,” Derrickson wrote in an Instagram post. Derrickson averaged 15.9 points and 8.1 rebounds as a junior for the Hoyas and hit 46.5 of his 101 3-point attempts. Derrickson, who averaged 17.2 points in Big Est play, was Georgetown’s second-leading scorer behind center Jessie Govan. Govan also announced he would enter the draft, but will not sign with an agent, leaving the door open to return to the Hoyas next season. Derrickson’s announcement came as a surprise; several times during the season, the 6-foot-7 forward said he planned to remain in college for his senior season. Before coming to Georgetown, Derrickson played for one year at Brewster Academy in New Hampshire after spending three years at Paul VI High School in Fairfax, Va. He helped lead Paul VI to two Washington Catholic Athletic Conference titles. FULTZ SEEING DOUBLE: Philadelphia 76ers rookie guard Markelle Fultz (Upper Marlboro/DeMatha) finished the NBA regular season with a bang, becoming the youngest player in NBA history to record a triple-double. Fultz had 13 points, 10 rebounds and 10 assists in 25 minutes after coming off the bench as the Sixers won their 16th straight game, beating Milwaukee in the regular-season finale. At 19 years and 317 days, Fultz is the first teenager in NBA history to post a triple-double. He’s younger than Los Angeles Lakers rookie Lonzo Ball (20 years, 15 days), who earlier this season took over the claim as the youngest with a triple double. Before Ball, the distinction belonged to Cleveland Cavaliers star LeBron James (20 years, 20 days). Fultz, the No. 1 overall pick in the 2017 draft, averaged 7.1 points, 3.1 rebounds and 3.8 assists during the regular season. But a lingering shoulder injury kept him on the sidelines for 68 of the Sizers’ 82 regular season games. In Fultz’ lone college season at the University of Washington, he averaged 23.2 points per game, the highest scoring average in the Pac-12 in 20 years. He also led the team in minutes played (35.7) and assists per game (5.7). He finished second on the team in rebounds per game (5.9). DeMatha’s Markelle Fultz is the fifth D.C.-area player to be taken No. 1 overall in the NBA Draft. With his selection as the first overall pick by the Philadelphia 76ers in the 2017 NBA Draft, DeMatha’s Markelle Fultz became the fifth D.C.-area player ever to be taken No. 1 overall. Several accounts (wrongly) trumpeted the fact that Fultz would be the first local native chosen No. 1 overall since Mackin/Notre Dame star Austin Carr in 1971. But that overlooks Osbourn Park’s David Robinson in 1987. For a long time, it seemed like local basketball fixture Kevin Broadus (Blair/Dunbar) might wind up working for every local college basketball program but Maryland. Over the year, he embarked on a tour of the area’s colleges as an assistant coach, working at Bowie State, UDC, American University, George Washington and Georgetown (twice). Broadus was finally able to complete the local circuit when Maryland head coach Mark Turgeon added him to the Terrapins’ coaching staff last week. There, Broadus’ numerous local connections are expected to come in handy on the recruiting trail. Broadus will replace Cliff Warren on the coaching staff. Warren, a star player at Paint Branch High School in nearby Burtonsville, had expressed a desire to come off the road and spend more time with his family. He assumes a new role as the Maryland basketball program’s director of player development. Broadus, 53, is probably most known for his work as an assistant at Georgetown. There, he coached and helped recruit future NBA players like Jeff Green, Roy Hibbert and Otto Porter. Broadus sandwiched two different stints at Georgetown totaling nine years around a successful but controversial two-year stint as the head coach at Binghamton. There, he led the team to the NCAA tournament in his second year. He was later forced to step down after admitting to improper contact with a recruit during a so-called “dead period.” Broadus later sued the university and the state higher education system in New York for discrimination, but agreed to resign after getting a $1.2 million settlement. An NCAA investigation cleared him of any wrongdoing. TRIMBLE’S NUMBERS: Most every story about Melo Trimble’s decision to leave the University of Maryland for the NAB after three years mentioned that he was part of 79 Maryland victories. That got me to thinking: Where does that total of 79 victories rank among other great players who have worn the Maryland red and white? The answer is: pretty high. In some sense, measuring the O’Connell grad against Maryland stars of the past is comparing apples and oranges because prior to the 1972-73 season, players had to sit out their freshman seasons. Then, too, college basketball teams typically play more games now than they did 45 years ago – back when Maryland’s basketball first gained national prominence. In 1972-73 and 1974-75, for example, Maryland reached the Elite Eight of the NCAA Tournament and still played just 30 and 29 games, respectively. This past season – Trimble’s last, as it turns out – Maryland played 33 games even with its disappointing first-round NCAA Tournament exit. That said, Trimble’s number are impressive my almost any measure. He is one of just two players in school history (Terrence Morris is the other) to play for three consecutive teams that won at least 25 games. Even if great postseason success eluded Trimble and the Terps, that run of excellence has to count for something. Trimble’s three-season victory total doesn’t quite match that of Lonny Baxter (Springbrook/Anacostia) and Juan Dixon, who accumulated 82 victories – including the national championship – in three varsity seasons from 2000-2002. The pair of Steve Blake and Drew Nicholas played on teams that won 78 games in their last three varsity seasons (2001-2003). Morris’ last three Maryland teams managed 73 victories, as did the 1972-74 teams spearheaded by Tom McMillen and Len Elmore. The John Lucas-Maurice Howard Terrapin squads of 1973 to 1975 accumulated 70 victories. Adrian Branch (DeMatha) helped win 69 games for the Terps from 1983 to 1985. Local legend Len Bias (Northwestern), meanwhile, won 68 games in his last three seasons in a Maryland uniform. 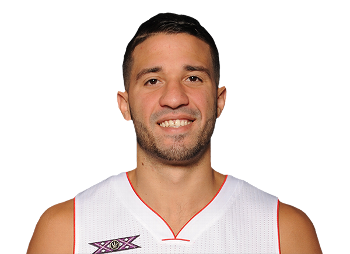 In case you didn’t notice amid all the hubbub about wardrobe choices during the NBA Draft or all the free agent speculation following it, former Terrapin Greivis Vasquez (Montrose Christian) was on the move. Again. The further you get away from the 2009-10 DeMatha basketball team, the better it looks. That year, the Stags were their typically excellent selves, going 32-4 en route to a Washington Catholic Athletic Conference title and a victory over Ballou in the City Title Game at Verizon Center. The Mike Jones-coached Stags lost only to national powers Mater Dei (California) and St. Anthony’s (New Jersey) and twice to league rival Gonzaga. The second loss to Gonzaga came in the finals of the season-ending Alhambra Catholic tournament at Frostburg State. Through the years, DeMatha’s had a host of 30-win seasons and league championships under both head coach Morgan Wootten and Mike Jones, a former player at DeMatha. The school’s basketball has been so consistently good, it’s difficult to make comparisons between one team or one era and another. But as time goes on, the collection of talent Jones had at his disposal looks more and more impressive. On Thursday, Jerian Grant, a member of the 2009-10 Stags, was selected 19th overall by the Washington Wizards in the first round of the NBA Draft. He was almost immediately sent to the New York Knicks as part of a three-way trade that also involved the Atlanta Hawks. Grant was an All-American this past season at Notre Dame, averaging 16 points and six assists per game. He bec omes the third player off that particular DeMatha team to get drafted. Two years ago, Ex-Stag Victor Oladipo went second overall to the Orlando Magic. Last year, Grant’s brother Jerami, went in the second round to the Philadelphia 76ers. He, too, played at DeMatha in 2009-10.